Dealership groups expand through acquisition or, less frequently, by obtaining an open point from a manufacturer. After initially growing through acquisition, Friendly Automotive Group in New York state, was awarded an open Honda point. The process, owner Eric Kahn tells Automotive Buy Sell Report, is not for the faint of heart. Kahn, who jointly owns both the Friendly Auto Group and Capital Luxury Cars Group, is building a facility for his newest dealership, Friendly Honda of Fayetteville, located in East Syracuse. 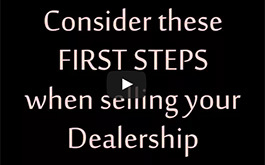 Reaching this point – actually building the dealership – was an eight-year process. Kahn learned Honda wanted to locate a dealership in the east Syracuse market in 2011 and applied for it. That involved filling out a “lengthy” application, says Kahn. He also had to present to factory representatives. He already operated a Honda franchise, but Kahn was initially turned down by American Honda in favor of a large dealership group in upstate New York. That group couldn’t meet the conditions laid out in the manufacturer’s Letter of Intent and, in 2016, Kahn was awarded the point. Manufacturers award open points based on their knowledge of the candidate including having the resources to open the store and evidence he or she will perform well in the market, says Kahn. The LOI also includes working capital requirements and specifics such as real estate and facility size, he adds. Finding and securing a property took a “considerable” amount of time, says Kahn. Finally, they settled on the site in Fayetteville, which formerly housed a Chevrolet dealership. Kahn aimed to tear down the Chevy building and construct a state of the art, 25,000 sq. ft. Honda dealership. First, however, he needed approval of the Fayetteville village government. That also took quite some time. The village, which is within the greater East Syracuse market, has a certain aesthetic for commercial buildings. Meanwhile, Honda has its dealership image program. A group including Kahn, the site engineer, the architect, an attorney, and at times an American Honda executive attended numerous village planning board meetings and made many presentations, says Kahn, before receiving approval to build the dealership. The process took eight months. Then they had to obtain financing. That can be more difficult than for an outright acquisition, say Kahn. “Banks tend to be more conservative because the dealership is a startup and will take time to generate solid cash flow,” he says. Kahn ended up financing with American Honda Finance, whom he had never before used for facility or floor plan financing. The dealership is on track to make the planned August 1 opening, says Kahn. Kahn, who has an MBA from Northwestern University’s Kellogg School of Management, went to work for a New York investment bank after graduation. He wasn’t working on any auto industry deals but noticed some other Wall Street firms were doing dealership consolidations. He was interested in the auto industry – Kahn worked in a dealership before going to business school. So, he left Wall Street and went to work as vice president of development at United Auto Group, leaving just prior to the Group’s acquisition by Penske Auto Group. Kahn then co-founded Bel Air Partners, a New Jersey-based dealership mergers and acquisitions advisory firm. Tempted by the dotcom craze, he left Bel Air to work at carday.com. “We were trying to be the eBay of used cars,” he says, Alas, they weren’t. When carday went under, Kahn became senior vice president of acquisitions at Potamkin Auto Group in Florida. But he had caught the dealer operator itch, and left Potamkin to look for a dealership to buy. That led to the Volvo dealership acquisition in Albany, N.Y. in 2006. Capital Volvo Cars of Albany is part of the Capital Luxury Cars group. Capital Luxury Cars includes a Volvo, a Jaguar, and a Land Rover franchise in Albany. 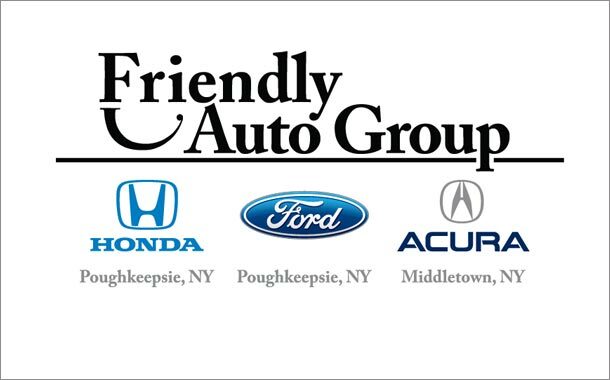 Friendly Auto Group includes a Ford and a Honda franchise in Poughkeepsie, an Acura franchise in Middletown, and soon the Honda store in Fayetteville. The next step is staffing the new store. He started receiving applications more than a year ago, when it became public they were going through the property development approval process, says Kahn. Now that construction is under way, he is receiving a flood of applications, he says. Kahn has financed growth through a group of high net-worth individuals who are successful in other industries and have invested in Kahn’s dealership business. 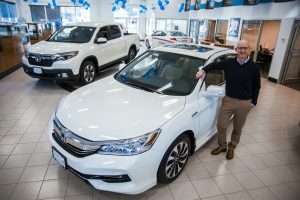 The former general manager of Friendly Honda in Poughkeepsie also bought into the group in 2012 and in now involved in managing all the Friendly-brand stores. But he obviously has bigger dreams. “I might look to raise significantly more capital, which would allow us to acquire larger platforms farther away,” he tells Automotive Buy Sell Report. Such a great post. SO much that I’ve take down note.